At Bevington we assess children so that we know that we are teaching them effectively and to ensure they are making progress. Our most valuable assessment tool, immediate feedback, is used all day, every day. We believe that the most important and useful feedback is provided in the moment, at the point of learning. For example, we use a variety of questioning to determine children’s understanding and promote self- assessment. We also use visual cues (highlighters and stickers) to provide children with visual reinforcement of successes and misconceptions to be addressed. We encourage pupils to assess their own work, and the work of others. Teachers will occasionally give longer written feedback on more substantial pieces of learning, such as extended pieces of writing. 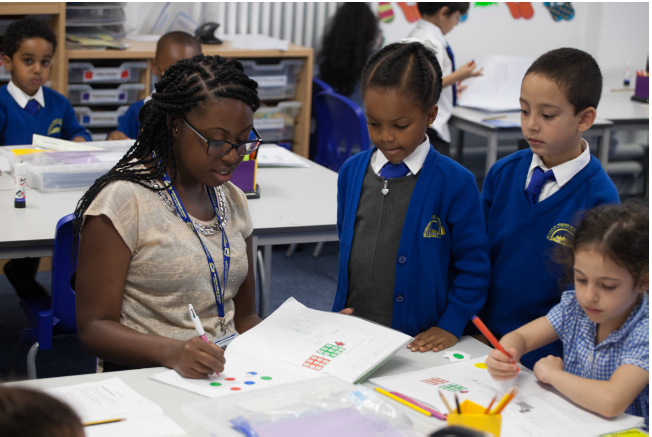 Ongoing and daily assessments help teachers form a rounded judgement about the extent to which children are learning against our expectations for each year group. These judgements inform the immediate next steps in daily and weekly plans, as well as termly recorded judgements, in which tracking enables the school to ensure no child falls behind and has appropriate interventions if required. At the end of each term, teachers make a summative assessment of their pupils. We use a grading system which assesses the depth of a pupils’ knowledge and understanding against curriculum expectations for their year group. Teachers make these judgements using pupils’ work, along with their knowledge and first-hand experience of pupils.